Duration shown on Side A only. 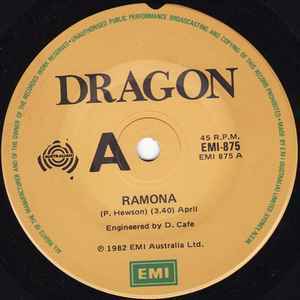 Released in a generic EMI sleeve. Manufactured and Distributed by EMI (Australia) Limited. * 1 x 12" = AU$8.50 (normal post Australia-wide inc.tracking) / AU$11.50 (express post Australia-wide inc.tracking). * 2+ (unlimited) x 12" = AU$15.00 (normal post Australia-wide inc.tracking) / AU$25.00 (express post Australia-wide inc.tracking). * Payments within Australia preferred by direct bank deposit but Paypal also accepted under absolute sufferance. * ALL RECORDS SHIP AIRMAIL FROM AUSTRALIA. Delivery time is usually anywhere from 10-28 days. All records are machine cleaned where applicable, play tested, checked under bright light, re-sleeved where applicable and graded conservatively. What we describe is exactly what you get. Our feedback is impeccable and we pride ourselves on solid customer service and quick communication. If there is a problem, we *will* sort it 100%. Purchases *MUST* be paid within 4 days.